GRANITE is the most popular natural stone option for countertops due to its versatility and superior performance characteristics. It is one of the hardest and strongest materials in nature, originating from the earth’s core as liquid magma. Extreme heat and pressure forged the quartz, mica, feldspar and other minerals into a very dense structure millions of years ago. Over time, additional heat and pressure created the fascinating combinations of colour and pattern that make each block truly unique. 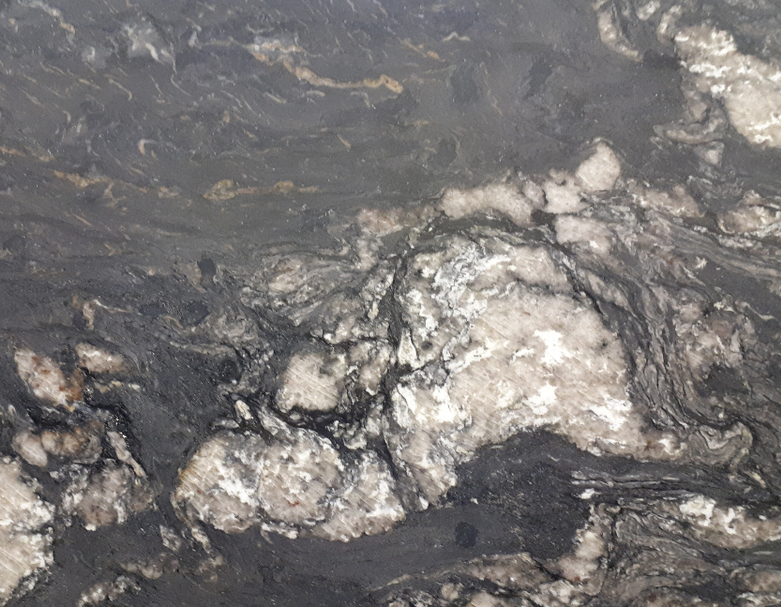 Granite patterns typically will have a flecked or pebbled appearance, with the specific inclusions varying in size, shape, and density depending on the composition of the individual stone and the particular mix of quartz crystals and minerals within it. The pattern can be highly structured, offering a relatively uniform appearance over the entire countertop, or the pattern may have “movement,” and change continually, without repetition, across each slab. The surface of granite can be finished in a polish, matte leather, or GX finish. Graniteworx is one of the few fabricators in the region with its own leathering and honing equipment, so a purchaser can select any granite and request Graniteworx leather or GX the stone for an additional labour fee.